MANILA, Philippines - The UAAP Season 78 has kicked off Saturday noon, September 5, 2015 at the Araneta Coliseum with league host University of the Philippines (UP) honored the Philippine history in the traditional opening ceremony. The season host has decided that it's high time for all of us to revisit our own history as a people. UP aims to take each and every one of us through a history lesson about how the Philippine archipelago was formed and, in turn, formed us in the opening ceremony with the theme "Tumitindig, Sumusulong." UAAP Season 78, the 2015–2016 athletic year of the University Athletic Association of the Philippines (UAAP) is composed of eight-member universities that are set to compete in fifteen sports to vie for the general championship. 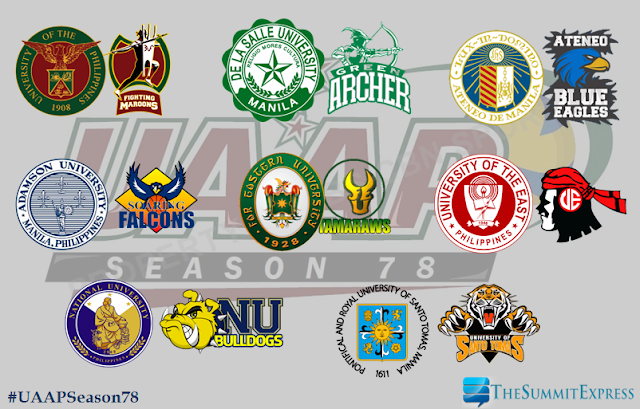 The league’s eight member schools include Adamson University (AdU), Ateneo de Manila University (ADMU), De La Salle University (DLSU), Far Eastern University (FEU), National University (NU), University of the East (UE), University of the Philippines (UP) and University of Santo Tomas (UST). UAAP Season 78 first round schedule was released last month. Among the most awaited events at UAAP are the men’s basketball tournament and the cheerdance competition. A basketball double header, UP vs. UE is scheduled at 2p.m. and Adamson vs. UST at 4p.m. will follow after the opening ceremonies on Saturday. The following day at the Mall of Asia Arena, La Salle faces reigning champion NU at 2 p.m. and FEU battles Ateneo at 4 p.m, Ateneo and La Salle match will be held on October 4, while NU will be up against FEU in their rematch on October 7. Meanwhile, the UAAP cheerdance competition is set in the middle of the basketball elimination round on October 3 at the MOA Arena. 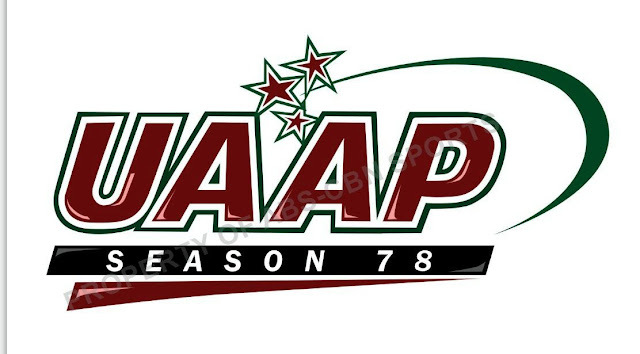 ABS-CBN Sports is still the broadcast partner for Season 78 until Season 82. ABS-CBN Sports+Action, Balls HD 167 and ABS-CBN Sports+Action Internation will cover the games on a live basis, with Finals games on ABS-CBN Channel 2 and replays on Balls Channel. Catch the live action of UAAP Season 78 through sports.abs-cbn.com livestream feed.